This is typical of a French homemade cake - dense, dark and delicious. The texture is very different from a sponge cake and it is excellent served with cream or a fruit coulis. For fruit coulis: Put the berries (of your choice) in a pan with ½ cup sugar and heat very gently, stirring with a wooden spoon from time to time. When the mixture comes to a simmer, cook gently for another 10 minutes. Transfer to a blender or a food processor and whiz to a puree, then strain through a cheesecloth-lined strainer into a bowl. Let this coulis cool, stirring occasionally to prevent a skin forming. When cold, stir in the lemon juice. Generously butter a 9_1/2 inch springform pan, then sprinkle the pan with a little sugar and tap out the excess. Set aside 3 tbsp of the sugar, you are going to use it for the egg whites. Place the chocolate, butter, and remaining sugar in a heavy saucepan and cook over low heat until the chocolate and butter have melted and the sugar has dissolved. Remove the pan from the heat, stir in the vanilla extract and let the mixture cool slightly. Beat the egg yolks into the chocolate mixture, beating each in well, and then stir in the ﬂour. 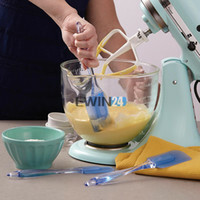 In a clean grease-free bowl, using an electric mixer beat the egg whites slowly until they are frothy. Increase the speed, add the salt and continue beating until soft peaks form. Sprinkle over the reserved sugar and beat until the whites are stiff and glossy. Beat one-third of the whites into the chocolate mixture, then fold in the remaining whites. Carefully pour the mixture into the pan and tap the pan gently to release any air bubbles. Bake the cake for about 35-45 minutes until well risen and the top springs back when touched lightly with a fingertip. (If the cake appears to rise unevenly, rotate after 20-25 minutes.) Transfer the cake to a wire rack; remove the side of the pan let cool completely. Remove the pan base. Dust the cake with confectioner’s sugar and transfer to a serving plate. I personally degustate it. My Valentine day came earlier this year. Amazingly soft, not chewy at all. Taste very french. The only problem, that for 6 it wouldn't be enough. Not because it is small, but because you'd have at least 2 pieces, I had 3. Thank you darling, I love you blog, and specially what is on the blog. Also, you mention that flour is added after the egg yolks but you haven't listed how much! It's gonna be my birthday pretty soon, and this cake it's make me dream! Definitely will try it! You need 1/4 cup of flour for the cake, thank you for letting me know-))) 3/4 cup +1 tsp for sprinkling your pan (3 tablespoons of sugar you need to use with your eggs whites, the rest goes with chocolate and butter). You may need some confectioner’s sugar, for dusting, I used cocoa powder. Let me know if you have more questions. This looks very decadent and fudgy. I'd love to try this and your photos are beautiful.